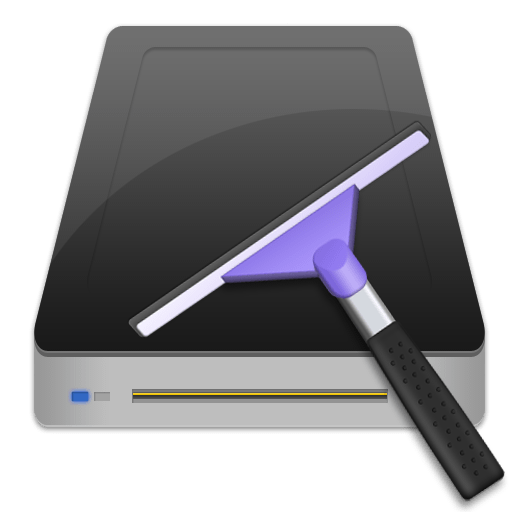 ClearDisk – is an application to clean up a Mac from junk files. It allows you to remove caches, downloads and Trash files with just one click. Dear users, thank you for taking a time and writing the reviews. We love reading about your experience with our application ClearDisk. Brilliant. Quick, easy and effective. Wonderful product, and does mostly what it is advertised to do. However, it doesn’t clean all the trash off. For example, old Open Office in-progress files. And, I expected it to clean out the old iPhotos files once I migrated them to the new program—all 5 GB worth. I’m not a neophyte, so I know what to look for, but it would be nice if the program did it for you. It is still a 5 however. App took no time at all, only a few minutes to fully scan my computer. It makes it easy to easily delete your cache files, which I do once a month, in only one click. Also makes it easy to dump your trash, which saved me almost 2 GB, and I forget to do all the time. This is one of those Utility Apps you really can’t live without. Simple, Quick, and Easy. Love it. The app is easy to use and gets the job done. It removes exactly what I want, and gives plenty of opportunities to delete files such as extra languages that are not needed from individual apps. It looks great with a modern sleek appearance, like other apps today. The functions are easy to identify with understandable icons and labels. The first time I used the app, I was confident I’d not get lost if I tried something out. The help file is useful too. It serves as a visual tutorial but didn’t appear to be searchable. During my first use, I tried deleting a few files, then checked exactly what changed, and the app performed as expected. Overall, it’s quick and gives access to removing junk I otherwise wouldn’t know how to get rid of in my Mac. Even though my Mac is new, it was filling up and this way I can easily keep on top of it, without spending much time clicking and diving into each app or the Finder. This is a great app for clearing space on my hard disk! I love how easy it is to use and how fast it works! I was able to get back so much space on my SSD almost immediately! Well worth the price, and then some. I’ll definitely be getting a lot of mileage out of this app. I’d been looking for something like this for a while and while I have apps that can do basically the same thing, they don’t do it as elegantly and simply. Or as inexpensively for that matter. Easy 5-star rating, definitely recommend. Used to Cleardisk yet! I’m impressed the way this app works, simple and CLEAR. P.S. and many thanks to Support for their professionalism and quick responses! I wish if cleaning of my room was so quick and easy as this app cleared my disk 🙂 Two clicks – and about 2 Gb of garbage is cut off! I have to clear caches very often because of my job. ClearDisk is the easiest tool I ever used. Thanks for work, guys! ClearDisk opened my eyes how much disk space is wasted – 3 Gb! My disk is really clear now.